Ratan P Watal, 1978 batch Andhra Pradesh cadre IAS and finance secretary and also secretary in department of expenditure, for a period of two months i.e., up to April 30, 2016. It’s quite unusual that the government extends the tenure of a secretary-level officer after one retires. The forthcoming general Budget, which will be presented on February 29, the same day Watal would have retired, could be the main trigger for the officer to get an extension. Also, the expenditure department which he handles is set to play the main role in implementing the 7th Central Pay Commission report. In another development, the government has figured out who will be the successor of DIPP secretary Amitabh Kant, the bureaucrat who had converted a low profile department —Department of Industrial Policy and Promotion, into a hub of activities, mainly because of huge campaigns such as Make in India and Ease of Doing Business. 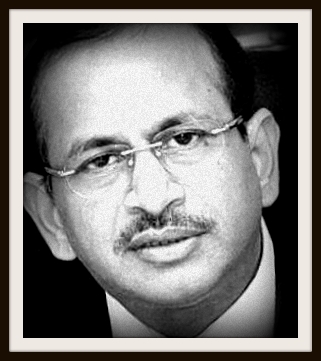 Ramesh Abhishek, 1982 batch Bihar cadre IAS, currently working as secretary (performance management), in the cabinet secretariat will be the new DIPP secretary with effect from February 29 when Kant retires. The government has already issued order saying that Kant would be the full-time CEO of NITI Aayog, a body that had replaced the Planning Commission of India. At present, Kant has been holding the NITI Aayog position as an additional charge. Abhishek will immediately join the DIPP as an Officer on Special Duty before formally taking over the charge as its secretary. Also, Girish Shankar, another 1982 batch Bihar cadre IAS, currently serving as secretary in the department of official language under the department of heavy industry, has been appointed secretary in the department of heavy industry in place of Rajan S Katoch who is retiring in the end of this month. Katoch had earlier served as the Enforcement Director.